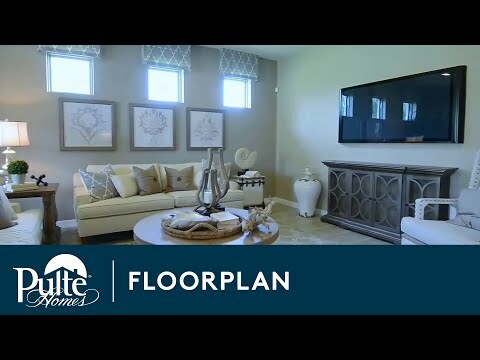 The Summerwood is a versatile floor plan that offers 2-5 bedrooms, well-suited for families and empty nesters alike. The beautiful one-story home design features an open kitchen with center island that overlooks a bright gathering room, perfect for entertaining and everyday living. The 2-car garage includes an expanded area ideal for a golf cart or extra storage. The Summerwood is known for its flexible layout and open living space. Granite countertops, large center island, and a walk-in pantry complement the kitchen. And if it’s space you need, check out the Summerwood Grand, with its second story loft that includes an added bedroom and bath, perfect for guests or your own getaway. A decorative lighting package, designer kitchen cabinets, the Taexx® built-in pest control system, a 9’4” ceiling height, an energy-savings package and plenty of garage space.